One of the co-founders of Twitter, Jack Dorsey, has been announced as a replacement to Evan Williams, who announced he will be taking a backseat at Twitter earlier in the year. The move means that one co-founder is being swapped for another, with Dorsey given one of the highest roles on Twitter – he is now executive chairman and will lead product development. "As executive chairman, Jack will dive into work with more than 450 people, led by an experienced executive team," explained Twitter in a statement. "The timing is fortuitous; not only is Twitter experiencing record growth, but we also now have a new infrastructure that will keep us ahead of that growth and enable us to launch products that will make Twitter more instant, simple and always present." Dorsey left Twitter in 2008, when Williams took over from CEO but he has always had an active role in promoting the site. Twitter's recent fifth birthday celebrations saw Dorsey reminiscing about how the site was created, posting the very first IM conversation about Twitter and revealing that the first Tweet on the site was the rather mundane: 'Inviting co-workers'. 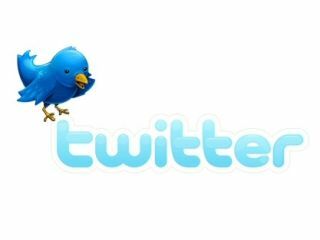 After three years away, Dorsey will be eager to capitalise on Twitter's 200 million plus users.